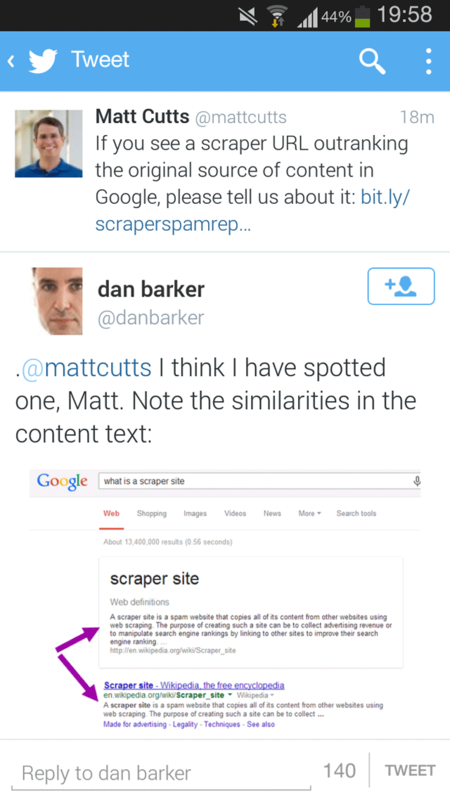 Matt Cutts, Google's head spam guy, posted on Twitter that he wants you to submit reports and examples of scraper sites or URLs that are outranking the original source. He made a Google Doc form where you can submit the report over here. The form asks you the source URL, i.e. the original source of the content, the URL of the page stealing the content, the search results page where it is being outranked, and just an agree link. 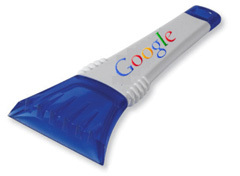 You should keep in mind, in January 2011, Google came out with an algorithm specifically designed to prevent scrapers from ranking well, i.e. the scraper algorithm. Anyway, I assume this means Google is going to use this data to improve or create a new algorithm in the future. Forum discussion at Twitter, WebmasterWorld & Google+.